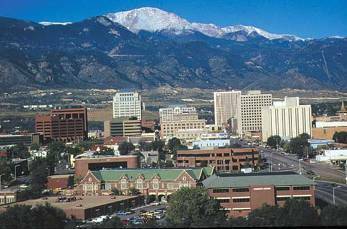 Colorado Springs is a rich and dynamic region that offers something for everyone. 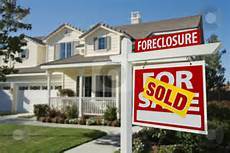 There are great foreclosure deals to be had here, and it is vital to have a real estate expert to guide you to the best deals in town. The Coram Realty Group has the expertise you need and we would love to help you find the perfect foreclosure home to call your own. Call us at 719-344.2410 to start touring communities today! Finding the best deal is the most important thing when searching for a foreclosure home. However; location is just as important. For this reason we created the most comprehensive guide to Colorado Springs neighborhoods that exists. Our guide details the different Colorado Springs MLS areas and the individual neighborhoods that are within those areas. Below is an overview of the Pikes Peak Region to help you narrow down your choices. To the right is a detailed list that includes all of the real estate areas in the region. Clicking on those links brings up a neighborhood list within that area. There is also a list of 'Featured Neighborhoods' that are noteworthy for having some of the best deals in town. Unparalleled Setting: With America's mountain at their doorstep, residents here take full advantage of the average 300 days of sunshine. Some of the most popular pastimes here are hiking, rock climbing, mountain biking and backcountry skiing. There are numerous parks and open spaces throughout town as well. Thriving Business Environment: The business environment here is thriving, and was recently named the '10th Best Place for Business and Career' by Forbes magazine. Some of the leading employers in the area are Lockheed Martin, Verizon Business, Northrop Grumman Corporation, Compassion International and the Broadmoor Hotel, a historic five-star resort. Cultural Arts, Events and Festivals: Pretty much any time of year there is something going on. Some of the most popular events and festivals is the Pikes Peak International Hill Climb (the second oldest auto race in America behind the Indy 500), the Colorado Balloon Classic, Frontier Days Festival and the Parade of Lights. There are also numerous art galleries throughout town, art walks and amazing displays at Michael Garman Museum and Gallery and the Fine Arts Center. Top Rated Education: School districts in the Colorado Springs region consistently rank highly statewide and nationally for excellence in academics and high graduation rates. There are many choices for adult education here as well. Established in 1874, Colorado College was in existence two years before Colorado even became a state; and continues to be a leader in education. The Colorado Springs branch of Colorado University, UCCS, is here as well as Pikes Peak Community College, with four convenient locations throughout the city. The Rocky Mountain Field Institute is located here also, along with numerous other technical and trade schools. Military Mecca: Colorado Springs is very military friendly. With five Air Force bases in the region and one Army base, Colorado Springs is home to a large percentage of military families. The bases here include the Air Force Academy, Peterson AFB, Schriever AFB, Buckley AFB, Cheyenne Mountain and Fort Carson. So, where are the best deals in town? Great question and you have come to the right place! There are hundreds of great foreclosure deals in town to fit almost every need and budget. First thing is to familiarize yourself with the region. Southern Areas This is typically where the highest proliferation of foreclosures is found. This is also a very popular place with military families as it is close to several bases and offers very reasonable prices. The areas here are Southeast C/S, Southwest C/S and the Fountain Valley including the towns of Security, Widefield and Fountain. Central Areas This is very diverse area that offers everything from downtown lofts right in the heart of the action to quiet, suburban neighborhoods with children playing in the streets. Areas here include Central, West, East, and Powers. Northern Areas There are not as high a proliferation of foreclosure deals here, however they do exist and any find here is probably going to be a great one and this is certainly an area to be seriously considered. Northwest C/S, Northeast C/S and Briargate are the areas here. Eastern El Paso County This is a very popular area for military with its proximity to Schreiver and Peterson AFB's, and a great place for a foreclosure deal. The primary areas here are Falcon and Falcon North. Western El Paso County This area is Colorado Mountain living at its finest. Foreclosure deals here are rare, however when they do occur they are typically very affordable. The primary areas here are Manitou Springs, Ute Pass and Woodland Park. Northern El Paso County This area features some of the most desirable homes in the region, if not the state. Foreclosures here do not happen often, but every now and then there is the opportunity to find a spectacular home at an amazing price. Areas here include Northgate, Black Forest and Tri-Lakes. Colorado Springs truly has something for everyone. From the first home buyer to military families to the real estate investor or to someone who is just looking for the best deal they can possibly get, you have come to the best place to find the best deal on Colorado Springs foreclosure homes. Call Coram Realty Group today and let our real estate professionals guide you through the process and negotiate the lowest price possible for you.